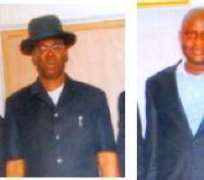 A cantankerous fete of financial mischief threatens the Bayelsa State government. Intelligible sources within the inner circles of the state government tell of the horrid but systematic looting ongoing within the financial managers of Governor Slyva administration. Ukpakareports.com investigation confirms the disregard to financial transparency. Investigatory examination of the transaction that recently took place between the PROJECT CONCEPT ASSOCIATES LIMITED (PCAL) [contractor] and the Sylva administration for the printing and production of 833 retreat booklets – shows the glaring appetite for financial mischief. The contract approval process required the involvement of three ministries [Ministry of Finance and Budget, Ministry of Information and Communication, Due process and e-Governance Bureau] and the office of Governor – and was specifically drafted for the printing, production and distribution of booklets for the:- 2007 Executive retreat held in Lagos, 2008 Budget retreat held in Port Harcourt and 2008 sustainable development strategy retreat held in Twon-Brass. The booklets total 833. Notwithstanding the booklet totals only 833, the ministry of information and communication [where the contract is domiciled] in its recommendation and request for release of money to the Governor, valued it at N103million. An amount higher that the governments own estimates by N28million. This is according to the cost estimate analysis performed for the project by the Bayelsa State Due Process and e-Governance Bureau dated October 16, 2008 which pegged the cost at N75million. Private experts, however peg the true [exact] value of the contract at 8% [less than 6million] of the stated value. In addition, the immediacy accorded by the Governor to the contract raises eyebrows. On Tuesday, December 16, 2008, Finance Commissioner received a Memo from the Commissioner of information and communication [Chief Asara A. Asara]. In reaction to the Memo, two days later, the Finance Commissioner sent memo to the Governor Ref. No: CF/MOI/ADM 01/VOL. 1/23 stating that he has attached a memo from the Honourable Commissioner Ministry of Information and Communication seeking his Excellency's approval for the release of the sum of N103,000,000.00 (One Hundred and Three Million Naira) only, being funds for production, printing of distribution of four volumes of the aforementioned subject matter by PROJECT CONCEPT ASSOCIATES LIMITED (PCAL). However, the Finance Commissioner [Dr. Opuala-Charles] in his recommendation to the Governor asked for the release of N24million [N23,082,040]. This was while emphasizing that the recommendation is based on the review carried out by the due process and e-Governance Bureau, that, it will promote a culture of policy consciousness amongst the top hierarchy of civil servants and political appointees. He also recommended the quantity of book reduced to 833 from 2500 copies - while arguing that the request [contract] has budgetary provision - although sources within the Budget Department confirm the contrary that there are no provisions for it in the 2008 Budget. That notwithstanding, impeccable sources within the Due process and e-Governance Bureau indicate the contractor [Dr. Tonipre Apiribo] had been financially lobbying the Bureau prior to heading over to the Commissioner of Information and Communication. The sources recalled to Ukpakareports.com of the many visits by Dr. Tonipre Apiribo with the proposal to print and produce the retreat booklets to the Bureau and the numerous occasions he was told there was no need for booklet printing and publication. Nevertheless, the contractor managed the commandeering of the Director General of Bayelsa State Due process and e-Governance Bureau [Dimeari Von Kemedi], into drafting a Memo to the Governor Ref. No. : DP & e-GB/ADM/077/VOL.1/345 dated October 9, 2008 praying his Excellency to approve N75million [N75,246,120.00]. The letter was signed by Dimeari Von Kemedi, Director General of Bayelsa State due process Bureau and delivered to the Governor on December 11, 2008. To this, sources with the administration who appear disturbed by the trend of financial mischief in the system, question the functions of the aforementioned Bureau. “Why they were appointed and to what service they render to Due Process?” They query the basis of arriving at N75,246,120.00 million Naira for the printing of 2500 booklets? They note that monetary kickbacks from the contractor to the Director General motivated the Director-General to have approved unimaginable millions to only print and distribute to top civil servants. Copies of booklet that will end up in office drawers collecting dust. Even worse, the sources point to whether he (Director-General) consulted with his fellow Directors before his recommendation to the governor on December 11, 2008? When Ukpakareports.com contacted Dr. Tonipre Apiribo through his G.S.M. line, he denied knowledge of the retreat booklet transaction and referred the reporter to meet the Finance Commissioner. When the Information Commissioner, Chief Asara A. Asara was contacted via text messages, he responded immediately stating that his office has no knowledge of the transaction that Finance Commissioner is best position to answer. Dr. Opuala – Charles was sent text messages to his Glo GSM line but did not respond. Ukpakareports.com has in its possession, other official government documents that point to other huge frauds ongoing within the government through the award of suspicious contracts. We shall publish them shortly.